Exciting things are happening here at MSU Law. From exciting social justice scholarship to innovation in legal tech, our faculty and students are making a mark in the legal community. Good people become great lawyers. 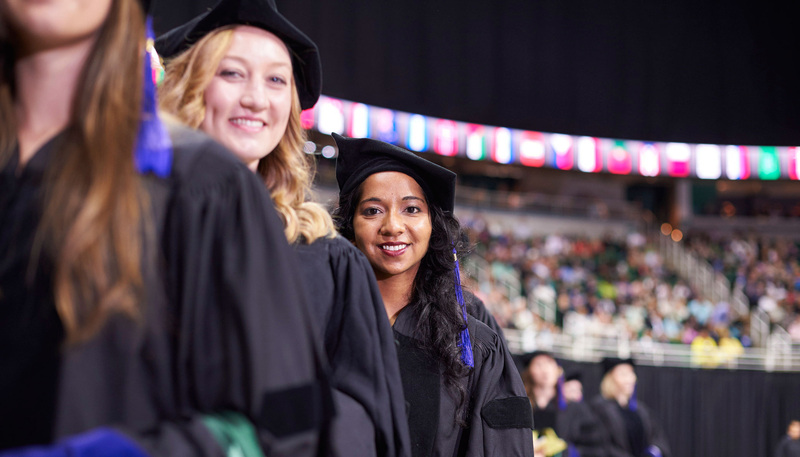 Michigan State University College of Law attracts a talented group of students from all over the country (and the world), and positions them for success through our dynamic programming and supportive faculty. Spartan lawyers graduate with a powerful set of legal skills and a genuine willingness to work together. You’ll find MSU Law grads serving their clients in every type of legal practice, from private firms to Fortune 100 companies to global nonprofits to government agencies. MSU Law alumni practice law in all 50 states, and all over the world. The MSU Law experience is characterized by an open, collaborative environment, a wide range of hands-on learning opportunities, and an exceptional curriculum.